content.php for displaying a post’s summary (information, feature image and excerpt). content-none.php to indicate there is no posts of this category. The codes in these files are mainly the template tags described in the Loop tutorial. You can find more template tags to use in the Codex page. The HTML5 <article> tag is used for indicating an article in the website, like a post. 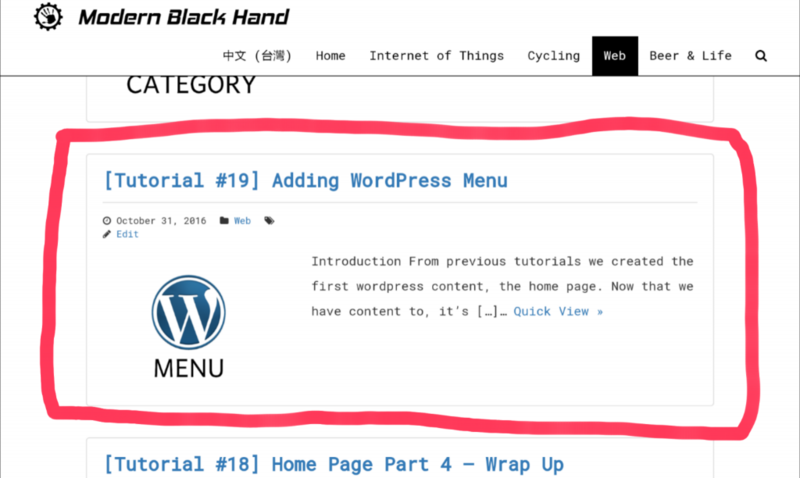 The template tags the_ID() and post_class() insert appropriate attributes and classes for proper wordpress display. Here we wrap the title with an <h3> tag and with hyperlink <a> tag. The post’s url is retrieved via template tag get_permalink(). The function esc_url(...) sanitizes an url and remove dangerous/invalid urls. It’s good practice to always wrap an url with this function. This makes sure the post type is ‘post’ before we try to retrieve post information. Display a Font Awesome icon. Display information with the corresponding template tag. For icons we use the <i> tag with fa, fa... font awesome classes. The names of the template tags are self explanatory. Wrapping tags that go before the link. Wrapping tags that go after the link. Thumbnail (feature) image (line 36-47). Content text excerpt (line 49-53). The Bootstrap setup is one row (line 34 ) two columns: one relative width of 4 and another 8 (line 36,49). 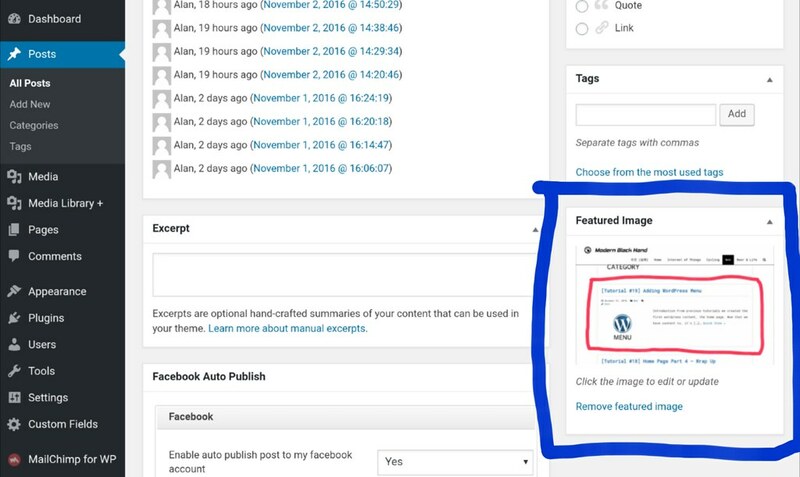 The codes first check if the post contains the “Featured Image” by template tag has_post_thumbnail(). If yes it displays the image by the template tag the_post_thumbnail(), and then sets the image link by the <a> tag. Get thumbnail id by the post’s id: get_post_thumbnail_id($post->ID). Notice that the codes $post->ID is the same as the template tag the_ID . The template tag just wraps $post->ID in a function. The <a> tag spans the entire image section by the CSS setup in this tutorial. The blue area is where you set the featured image. The excerpt can be displayed easily by template tag the_excerpt(). We will show how to customize excerpt length in later tutorials. * Template part for displaying a message that posts cannot be found. The code is simple. It prints two lines of messages (line 17, 21) and an image within a Bootstrap row class.